﻿ Best Price on Hotel Casa Barcelona in Granada + Reviews! 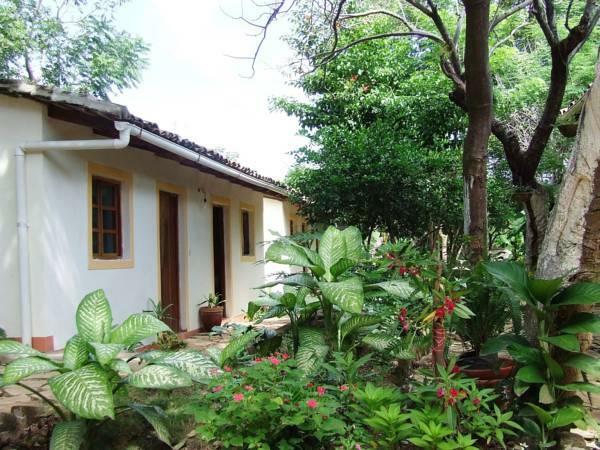 This family-run hotel is located in Granada, just 1.1 mi from the shores of Lake Nicaragua. Set in 2297 ft² of tropical gardens, it offers modern rooms with free Wi-Fi. Hotel Casa Barcelona features traditional Granada architecture. The rooms come with cable TV and a private bathroom. Each one offers garden views. Casa Barcelona’s restaurant serves traditional local food and delicious breakfast in a quiet, peaceful, relaxed environment. There is a bar, and you can enjoy a drink on the terrace, surrounded by the gardens. Staff at reception can provide information about what to see and do in the area. Granada’s traditional local market is 5 minutes’ walk away, and you can walk to the town center in 12 minutes. Please contact the property after booking to provide all the information about your flight in case you want to use the private transportation service which is charge separately. 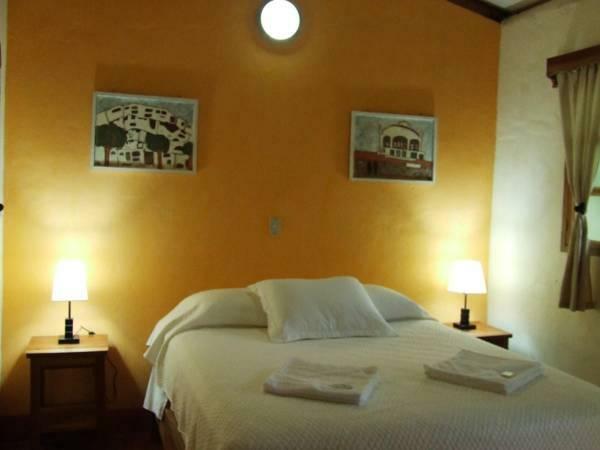 Air Conditioning has an extra fee of 9 USD per night, except for the Family Room, which has Air Conditioning included. Please note that for stays longer than 20 days free breakfast and a mini bar are included. Please inform Hotel Casa Barcelona of your expected arrival time in advance. You can use the Special Requests box when booking, or contact the property directly using the contact details in your confirmation. At one point we were locked out (after poor instruction by the staff as to which key was for the safe and which was for door, so we left room key inside thinking it was the safe key which we did not use) and we were told that to get the door open they would need to call a locksmith (at an expensive and ridiculous price) because the lock would need to be replaced. After some bickering they revealed to us that they actually had a spare key in the bank deposit box in town and it would cost 50 cordobas (aka less than $2) for the owner to go get it. And that it would take 20 minutes. We had rented a car and offered to drive the owner but she said no. So we paid and waited about an hour thinking the owner was out getting us the key (we kept asking the receptionist and she said yes the owner went to get it). Mind you we still saw the owner lurking around the premises. After another 30 minutes the receptionist leaves the desk and we see her go out. She comes back in another 30 minutes with the key. So the whole time we were waiting, no one was getting the key. Just had us sitting there waiting for the key. For almost 2 hours. Needless to say we lost our plans for that afternoon and thus a day was wasted. The owner wassuper helpful and friendly. The location was perfect because it was just a ten minute walk to the main square/street. The rooms were really clean. Loved it! The best thing about the place was the owner. From the minute I walked through the door, she did everything she could Tomane me feel welcome. Also heard the breakfast is amazing and a great deal but never actually had a chance to try it. Would recommend to anyone looking for a private room at a decent rate. The staff was very attentive and spoke more English than in other places in Central America we`ve visited. Clean rooms, good value on breakfast. The hotel is located a bit far from the center in an area that doesn't look very appealing. We didn't feel it was dangerous though and after all a cab ride wouldn't cost more than 1 dollar. Our room was a bit small and hot but at additional cost you can use an AC. You have a choice so it`s great. For us a ceiling fan was enough. The staff is very kind and attentive and they are a big reason we wouldn't hesitate to stay at Casa Barcelona on our next visit to Granada. Thank you all. Great location in central Granada. Although just about all Granada-area hotels are centrally located, Casa Barcelona was one of the more inexpensive options...the town is compact enough to easily walk anywhere, so price was the biggest factor for me. Free breakfast was decent and room was spacious and comfortable. If you're not looking for too much luxury, it's a decent option for Granada. I stayed here for 2 nights, the lady speaks English and is very helpful. She put me in touch with a trustworthy company who organised my tour to Mayasa volcano and also to the 365 islands. She showed me the sites I could see in Granada by myself and recommend eating places. The internet worked the whole time I was there and was fast. The room is great, clean and nicely designed with comfortable bed. The hotel is a short walk from the downtown cathedral, maybe 10-15 minutes, I felt safe walking to the centre and back, even at night. The first room we were given (family room) was unpleasant and hot (fans didn't really improve the heat). The double room was much comfortable. Staff is nice. Awesome matresses. La réservation a été fiable. La chambre est assez confortable et les petits déjeuners sont corrects. La situation géographique n'est pas idéale. A noter que cette entreprise solidaire donne du travail aux habitants du quartier.